The first game of the Professional Baseball League of Cuba was played in Havana on December 29, 1878. Led by player-manager Esteban Bellán, Habana defeated Almendares, 21-20. 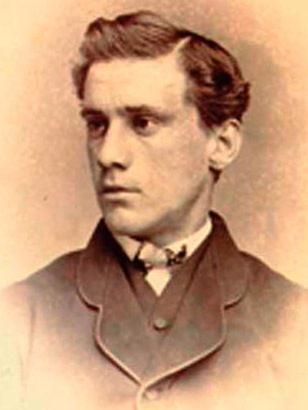 Bellán had also been the first Latin-born player to play in the American major leagues, spending three years in the National Association of Base Ball Players (NABBP) from 1868 to 1870, and three years in the National Association of Professional Base Ball Players (NAPBBP) from 1871 to 1873. According to legend, Abner Doubleday invented the game of baseball in 1839 in Cooperstown, New York (hence the reason Cooperstown serves as home to the Baseball Hall of Fame). A Union general during the Civil War, Doubleday is known for having fired the first shot in defense against the South at Fort Sumter, thus starting the American Civil War. It makes sense, when you think about it. Of course America’s game would be invented in America, by one of America’s own war heroes, right? Contrary to legend, baseball did not spring up out of nowhere, brought to America by a patriotic stork gifting us with our national pastime. More than likely, Abner Doubleday had nothing to do with baseball at all. Upon his death in 1893, Doubleday left behind a number of documents and letters, none of which mentioned baseball. Furthermore, references to games resembling the sport existed long before Doubleday was even born. For example, one soldier in George Washington’s army, George Ewing, wrote about his experience playing a game called “base” in April 1778 in Valley Forge. In truth, baseball most likely evolved from the British games of rounders and cricket. Over time, different versions of bat-and-ball games evolved in America, going by names like “townball” and “roundball.” Different areas of the country also developed their own versions of the sport, including “the Massachusetts game” and “the New York game.” Not surprisingly, each state believed its own version to be better. By the time of the Civil War, the New York version of the game had become the most popular. The establishment of the National Association of Base Ball Players (NABBP) in 1858 marked the creation of baseball’s first centralized governing body, which helped ensure the spread of uniformity in the game’s play and rules. So why the bogus myth about Abner Doubleday? In the wake of the Civil War, America experienced a surge of nationalism, not an uncommon occurrence following times of great calamity (think: 9/11, Iraq War, etc.). Business and political leaders alike sought out a means through which to help heal the division between North and South. The growing sport of Base Ball, which was becoming popular throughout all socioeconomic classes, seemed an obvious solution for this need. As part of his efforts to build up and promote the idea of baseball as “America’s game,” A. G. Spalding and the Spalding commission asserted in 1907 that baseball was a purely American game with no roots in British sports, and that Abner Doubleday was its inventor. In the years that followed, other baseball historians, consciously or unconsciously, perpetuated this nationalistic myth. In spite of the research that has since revealed the Abner Doubleday myth, the Baseball Hall of Fame continues to hold fast to the magic that it created, as demonstrated on their website. And who can blame them? Part of the wonder and glory of Cooperstown is the idea that it was the birthplace of America’s National Pastime. Nevertheless, it is important to also keep in mind the facts as revealed by history. Legends can be fun and revealing on their own, but true history gives us a more accurate sense of who we are. Kirsch, George B. Baseball in Blue and Gray: The National Pastime During the Civil War. Rossi, John P. The National Game: Baseball and American Culture. Chicago: Ivan R. Dee, 2000. Seymour, Harold. Baseball: The Early Years. New York: Oxford University Press, 1960. Evolution, Development and Popularity of Base Ball with Personal Reminiscences of its Vicissitudes, its Victories and its Votaries. Revised and re-edited by Samm Coombs and Bob West. San Francisco: Halo Books, 1991.